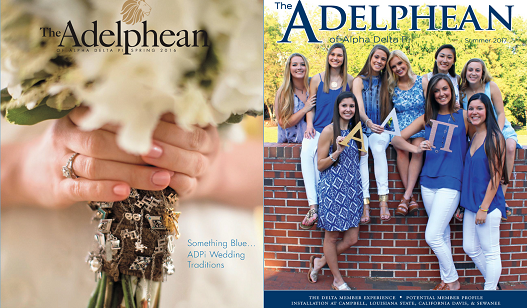 Published since 1907, The Adelphean, Alpha Delta Pi’s quarterly magazine, is filled with exciting news and events of interest to collegians and alumnae. Each issue highlights outstanding alumnae and collegiate chapters, promotes leadership on campus and in the community and features philanthropic service with the Ronald McDonald House Charities and other local organizations. Click on the links below to open the pages and enjoy reading the articles. For information on The Adelphean deadlines and how to submit information for publication, please click here. Older editions are available in the Digital Archives.